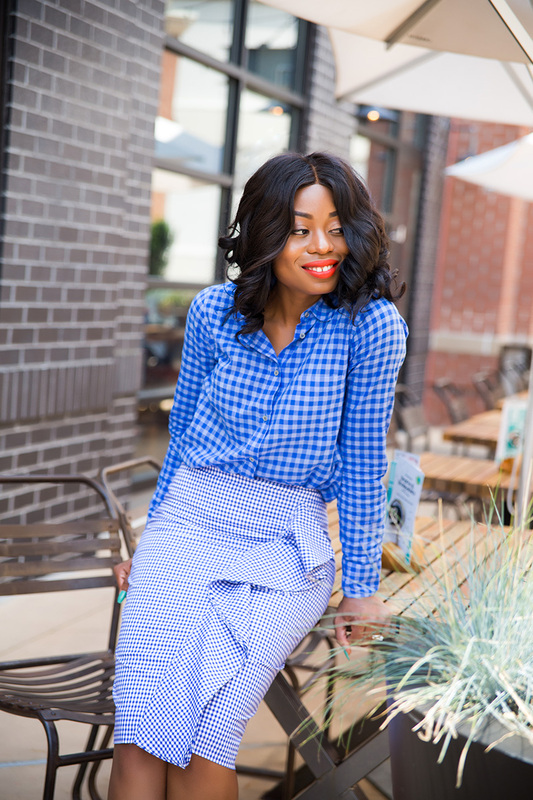 I love the double ruffle detail of this JCrew skirt. The skirt is a statement on its own. 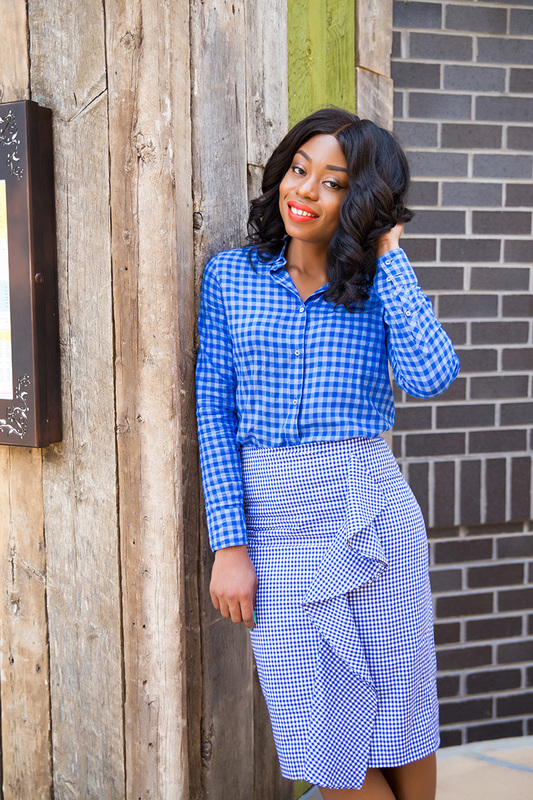 The ruffle detail adds a fun and unique feel to the look. 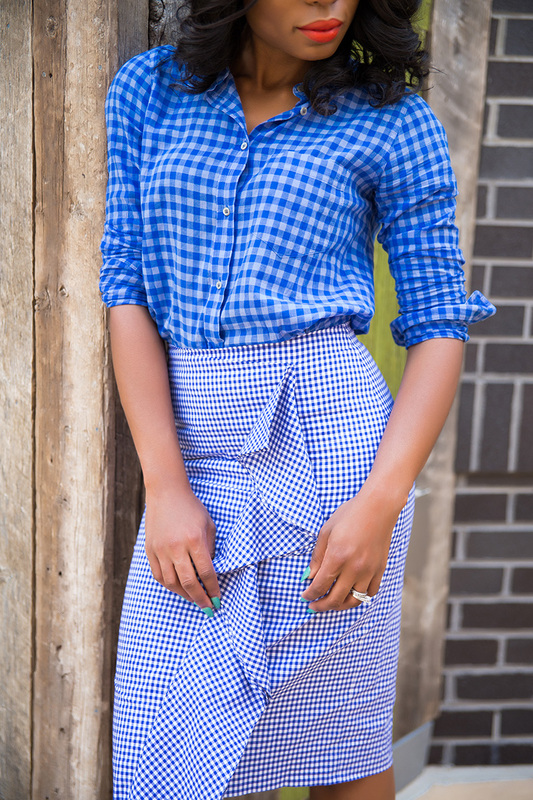 I styled it with a bold gingham shirt to complement skirt and completed the look with simple strap sandals. Few weeks ago, I paired it with this Koshieo pink shirt and pink pumps as seen on Instagram. 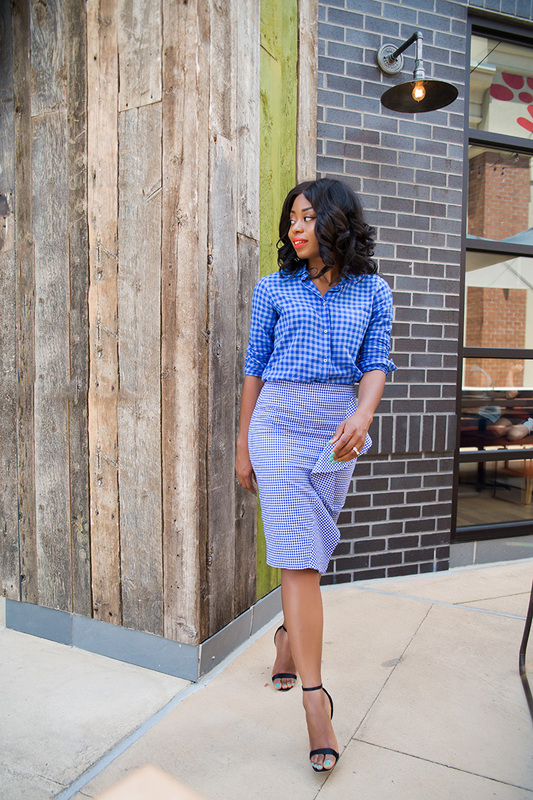 The ruffle skirt is definitely a versatile piece and a great addition to work style. Wow, you have got this print on print thing nailed. 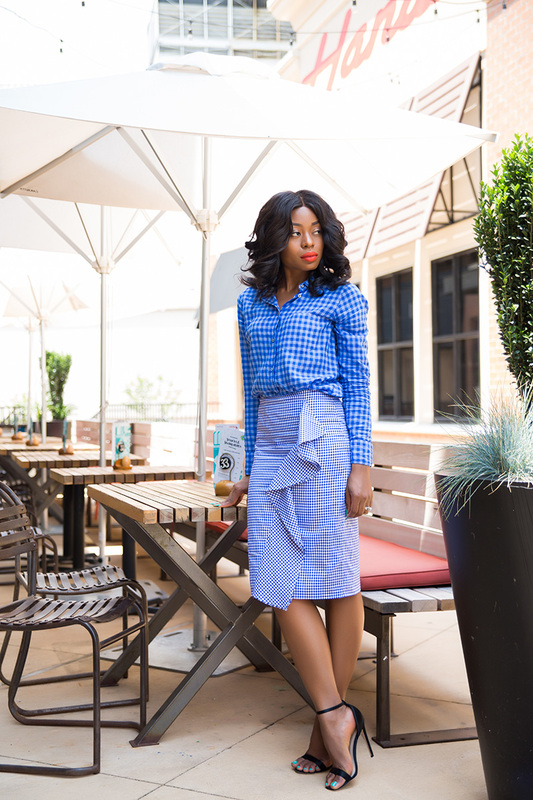 I love your incorporation of different shades of blue in this look. That skirt! The entire look. So fab. So Great combo and very stylish.